Never has the World Bank's relief work been more important than in the last nine years, when crises as huge as AIDS and the emergence of terrorist sanctuaries have threatened the prosperity of billions. 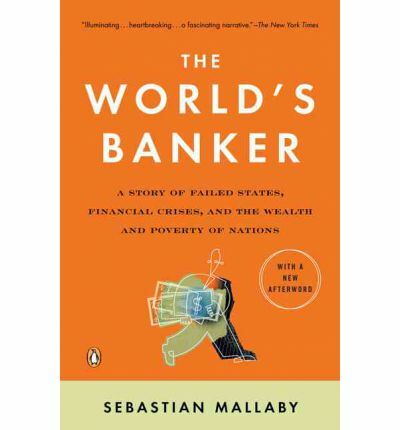 This journalistic masterpiece by Washington Post columnist Sebastian Mallaby charts those controversial years at the Bank under the leadership of James Wolfensohn the unstoppable power broker whose daring efforts to enlarge the planet's wealth in an age of globalization and terror were matched only by the force of his polarizing personality. Based on unprecedented access to its subject, this captivating tour through the messy reality of global development is that rare triumph an emblematic story through which a gifted author has channeled the spirit of the age.This edition features a new afterword by the author that analyzes the appointment of Paul Wolfowitz as Wolfensohn's successor at the World bank"